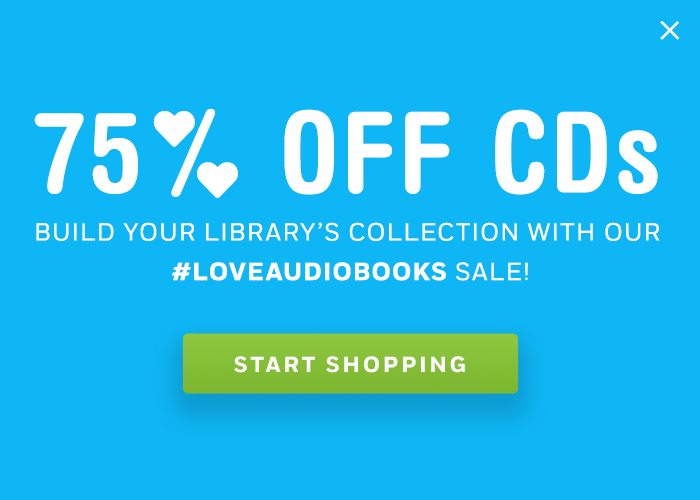 Collection Development, Featured Titles	Audiobooks put you in the room where it happened. The Nerdy Book Club names top books for Hamilton fans. Attention all “Hamilnerds” who have listened to the Hamilton soundtrack on repeat hundreds of times: Listening Library has TWO NEW Hamilton-related listens to add to the mix. These fall ’16 drop-ins allow famous historical figures to tell their stories, bringing this fascinating period in American history to life—a perfect choice for classrooms! Fans of the smash-hit Broadway rap-musical Hamilton: An American Musical, winner of 11 Tony Awards, and young history buffs alike will be captivated by these stories that put listeners back in the narrative in a new way. Plus, we offer many more audiobooks on the Nerdy Book Club’s Hamilton list—and a few more of our own picks we’ve added here. So give young fans a front row seat to great storytelling—without a hefty price tag and epic wait. To see the full list from The Nerdy Book Club of the Top Ten Books for Hamilnerds (which is actually more than ten but in their words “we didn’t want to throw away our shot to share something awesome”) click here. 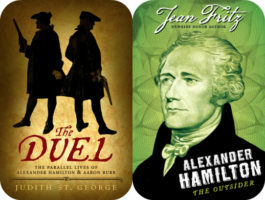 And to see more audiobooks for Hamilton fans, view our collection here. Oh, can I show you something else we’re proud of? Broadway’s original (and Tony Award-winning) Aaron Burr is also an amazing narrator. Check out Leslie Odom Jr. reading here. Judith St. George’s lively biography, told in alternating chapters, brings to life two complex men who played major roles in the formation of the United States. Acclaimed biographer Fritz’s talent for bringing historical figures to life is at its best as she shares her fascination with this man of action who was honorable, ambitious, and fiercely loyal to his adopted country. The book that inspired the musical (Ron Chernow was an advisor to the production) is available as 29 CDs read by acclaimed narrator Scott Brick! Read our blog post to see Lin-Manuel Miranda read the first few paragraphs. It will leave you wanting to hear more! According to The Nerdy Book Club, “This series is perfect for YA readers who want to know more about the Revolutionary War time period in New England.” And with the phenomenal Peter Francis James behind the mic, listeners are in for a treat. Kimberly Brubaker Bradley’s most recent title, The War That Saved My Life, was the 2016 Odyssey Award Winner. But this ALSC Notable Children’s Recording is an important addition to history collections, shedding more light on Thomas Jefferson and tackling the challenging and perhaps lesser-known subject matter in children’s literature that he was a slave master to his own children. This one was selected by the Nerdy Book Club for Hamilnerds because it “brings to the table a different representation of determination to ‘rise up’ out of poverty.” As the famous lyrics from “My Shot” say, “Rise up! When you’re living on your knees, you rise up.” So encourage YA listeners to find inspiration in this awesome audiobook that was beloved by reviewers. From Pulitzer Prize–winning American historian Joseph J. Ellis, the unexpected story of why the thirteen colonies, having just fought off the imposition of a distant centralized governing power, would decide to subordinate themselves anew. Meet the men most responsible—George Washington, Alexander Hamilton, John Jay, and James Madison. An illuminating study of the intertwined lives of the founders of the American republic—John Adams, Aaron Burr, Benjamin Franklin, Alexander Hamilton, Thomas Jefferson, James Madison, and George Washington. This book was the winner of the Pulitzer Prize for History in 2001 but this new recording was released in July 2016. What better way to catch up with past Pulitzer winners than by trying the audio? Sign up for our newsletters to hear more collection development ideas.